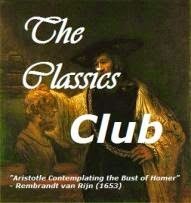 Tell Me a Story: Classics Club Spin winner is.. Classics Club Spin winner is.. The spin has been kind to me as I was hoping for one of 'the English ladies'. 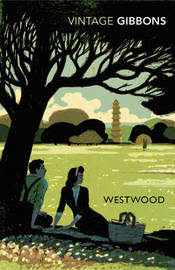 I bought Westwood in 2011 after reading, and loving, Cold Comfort Farm, finally put it on my reading pile for April but still never got to it.........now is the time! I hope the spin has been as kind to all my fellow spinners! I think it will be very different from Cold Comfort Farm - I'm looking forward to reading it. I've only read Cold Comfort Farm, which I love. I'll look forward to hearing what you think of this one. CCF is the only one I've read too.....so far! After sharing an American classic last spin, we both get to enjoy and English lady...as I got Tess as a reread. Cold Comfort Farm was a lot of fun, I'll be curious to see what you think of Westwood. 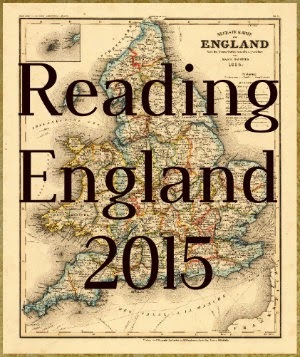 I reread Tess last year - I love Thomas Hardy - enjoy! I haven't read Stella Gibbons, but would like to. Westwood looks very good! I was hoping for an "English lady", too, but got Thomas Hardy instead. I'll be starting Tess later this week. An English gentleman is the next best thing :-). I'm sure you'll enjoy Tess. Oh fun! I got The Rights of Man, which is more intimidating than fun, but at least it's good motivation. That does sound a bit daunting . I love Stella Gibbons. Well, at least I loved Cold Comfort Farm. I haven't read any of her other books. I got Jenny by Sigrid Undset for my Classics Club Spin. I'm hoping I will love this one as much as CCF although I'm prepared for it to be very different. Glad you got one you are looking forward to. I'm happy - not in the mood for anything too heavy. I am in love with that cover! I really enjoyed Cold Comfort Farm, although I think some of the humor went over my head.